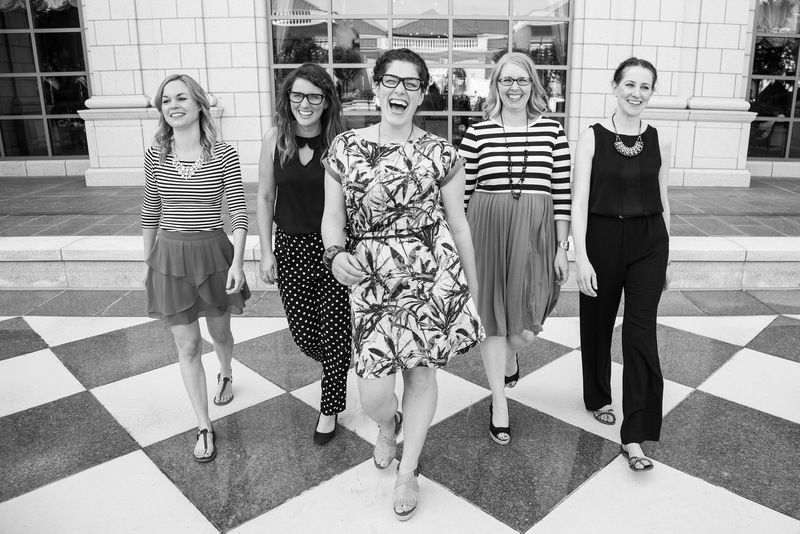 You guys, Alt Summit was a blast. And if you can’t tell from the picture above, a photoshoot with my lovely panel ladies was involved. As promised at Alt Summit, today my panel members and I are all sharing a recap of the topic we spoke on, and you can also download the pdf of our slides and the worksheet we passed out to all of the attendees! Here’s a download of the PDF we promised! 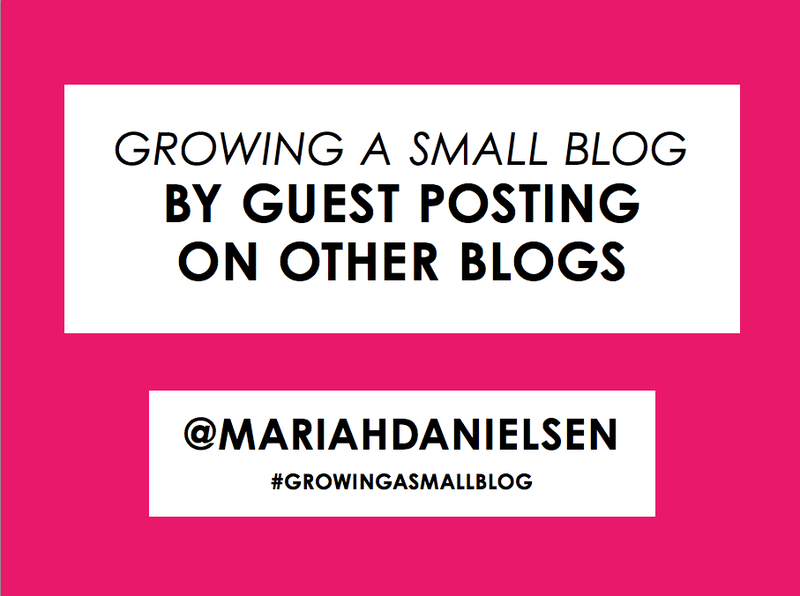 On our Growing a Small Blog panel, I shared my experiences of growing my blog through guest posting on bigger blogs. Here’s a recap of my portion of the discussion! Download the worksheet we handed out at Alt Summit, and work while you read this post. When you start blogging, you want to attract readers and customers who are loyal and will come back to visit your blog or shop on a regular basis. One way to move this process along is through guest blogging. Here’s why guest blogging works. Guest posting on a blog is mutually beneficial for both parties – the blog gets a post without having to create the content, and you get your ideas and expertise in front of a bigger audience. When you hand pick blogs that your ideal customers read and guest post on them, this builds your credibility in the reader’s mind which will drive the readers to visit your website. Pitching to bigger bloggers can be a little bit scary, but here are 4 key steps to walk you through the guest blogging process. 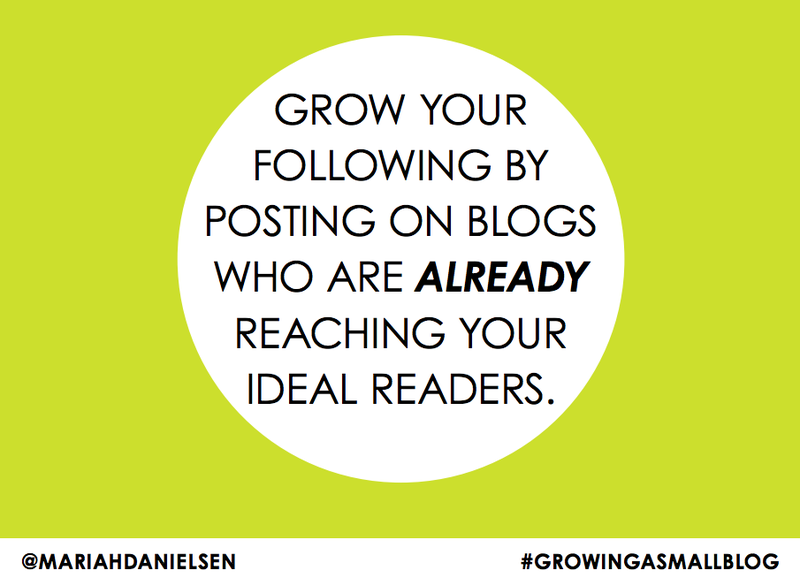 The best way to get loyal followers is to post on blogs who are already reaching your ideal readers. 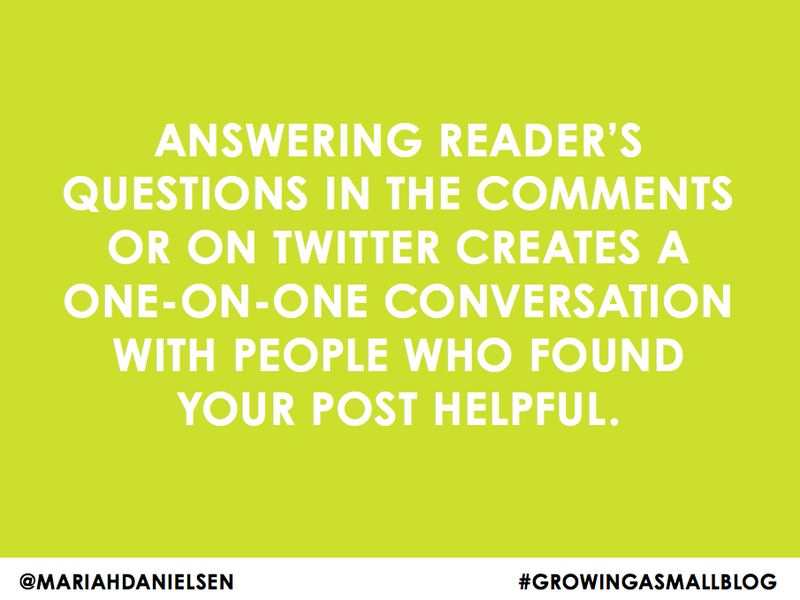 Start with finding out what major blogs your ideal readers are following – do a little research. One way is to survey the great followers you do have. But you also need to try to get inside the heads of the people you would ideally like to read your posts. So ask yourself what types of blogs you think they’d be reading, and which conferences or events are they attending? You’re going to want to post where they’re visiting, and you can do some research about who is speaking at the events they’re attending and try to get in front of them that way, possibly by getting on the blogs of the speakers at those events. Right now, use the worksheet and take a minute to write down where you think these people are hanging out. After you write down a few blogs, do a little bit of research to see what the blog is all about – maybe it’s not the type of blog you want to pitch to or maybe they don’t even accept guest posting. Hand pick the right blogs for your business or niche. When you have a list of blogs you possibly want to post on, start reading their posts and following them on their social media sites like PJ talked about earlier. Comment on some of their posts and connect with them on Twitter. This will get your name on their radar. 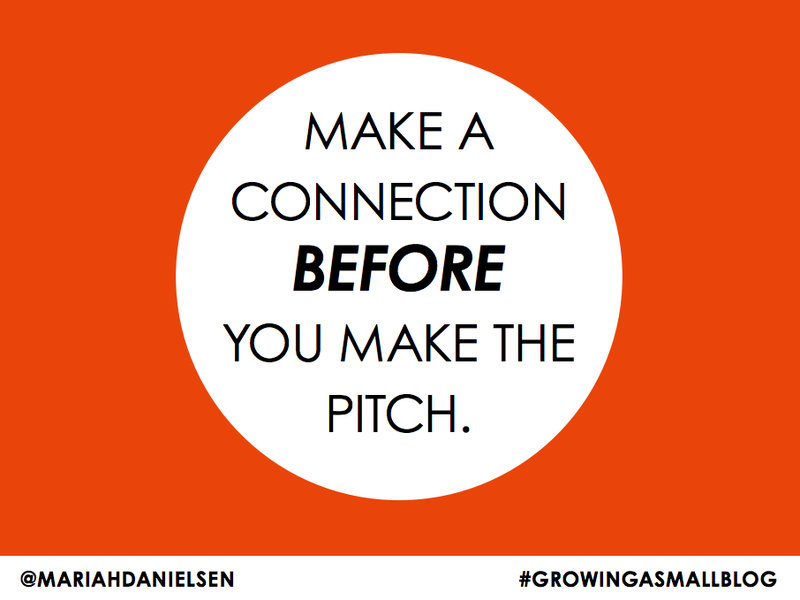 Start a relationship with them before you do the pitch. Pitching to any size blogger can be really nerve wrecking, but keep in mind that the worst they can say is ‘No.’ I assure you, you’ll be pleasantly surprised with how nice people are when you pitch to them as long as you are genuine to them. When you pitch to blogs, make sure you’re not sending the same pitches to each blog – if it’s going to be picked up and run by one blog, a different blog isn’t going to want to share the same content. You can tweak or change the pitch to fit the aesthetic or topic of that blog – like sharing social media tips specifically for food bloggers on a foodie blog and then sharing similar tips for small businesses in general on a more design or business focused blog. Just make sure the posts aren’t going to be the exact same for both blogs. Also, make sure you’re pitching your absolute BEST content that is up to the same quality of their everyday posts. Don’t pitch something just to pitch it, make sure you have it well planned out with professional quality photos and content. 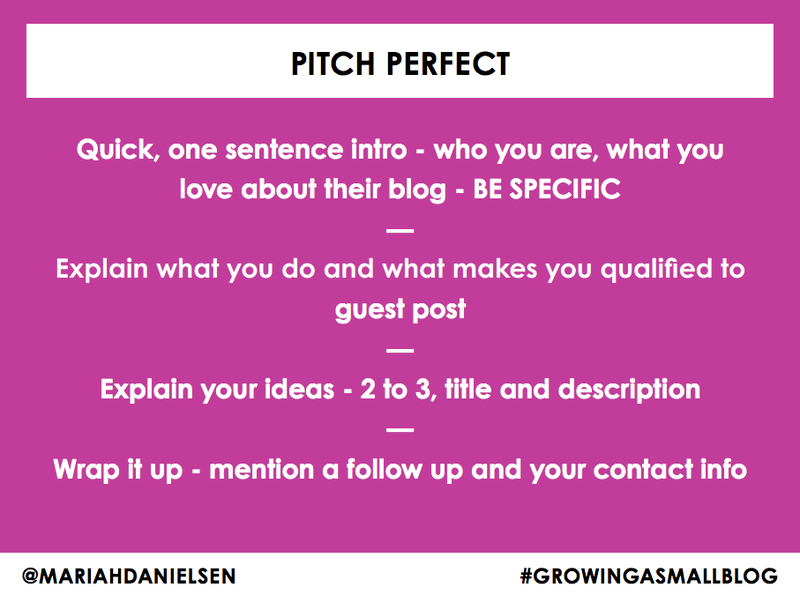 You want your pitch to be direct and to the point with a little bit of personality. I. Intro: Do a quick one sentence line about who you are and then compliment their work: Mention one or two quick things that you love about their blog – be specific! II. 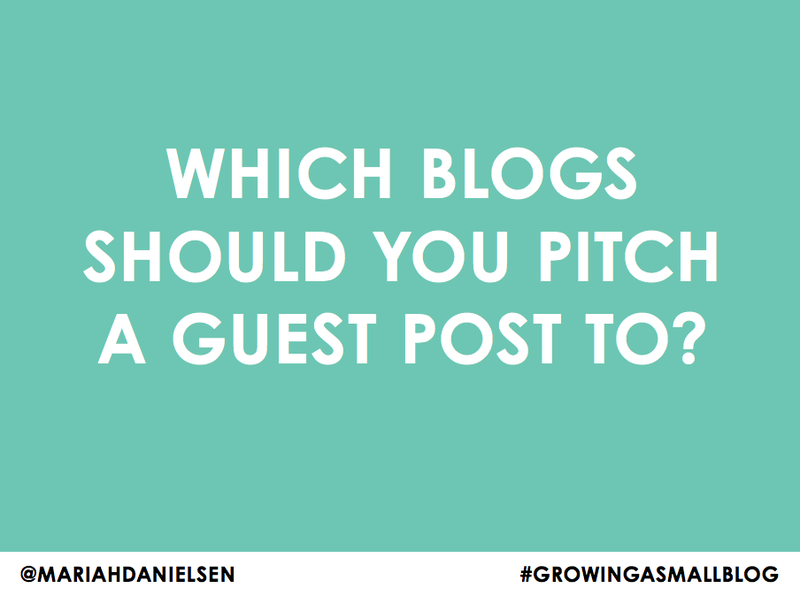 Quickly explain what you do and what makes you qualified to guest post. – Extras: Do you have a printable worksheet or done-for-you swipe files? – Thank them for their time! After you pitch, stick to your word and follow up with them after a week.. Following up is important because your original email may have gone to spam or they may be interested but have forgotten about your email – we’re all busy people! 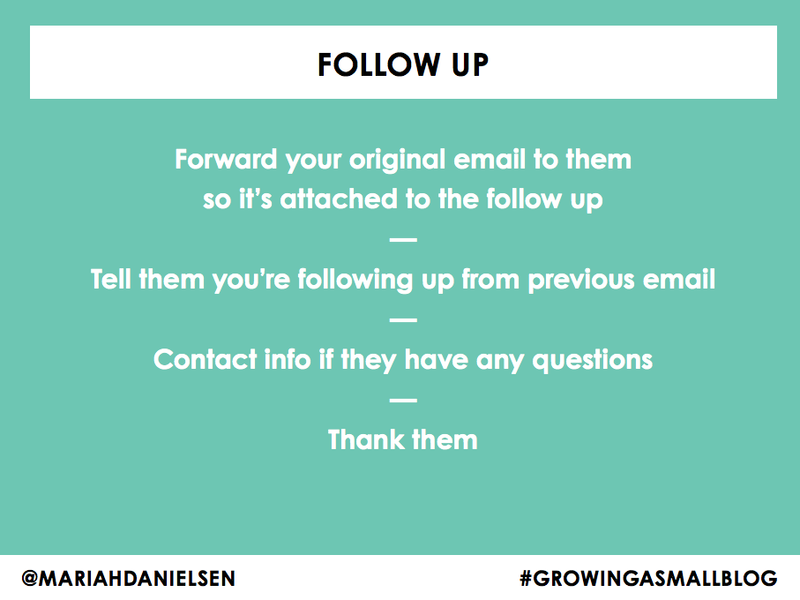 In your follow up, all you have to do let them know that you are following up with an email you sent them last week and tell them that if they have any questions feel free to contact you. Then attach the original email so they don’t have to dig back through a week of emails to find yours. After you follow up one time, you will usually get a response if they are interested. If they don’t respond after you follow up, you can either wait another week and do one final follow up or move on to the next blog to pitch to – it’s really up to you. – If they say no or don’t reply, don’t take it offensively. Thank them for their time, and if they them move on to the next pitch. – If they reply and say yes (yay! 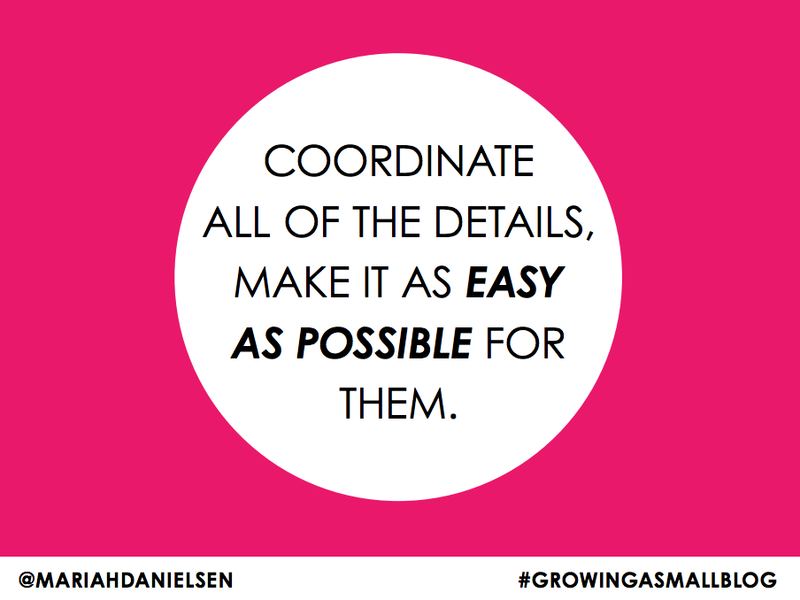 ), coordinate all of the details for them – make it as easy for them as possible. Write the post in the format they outline and make sure you follow all of their guidelines. In your post, you’ll want to add some links to get some traffic back to your blog if it’s allowed. Add your links strategically, either somewhere in the post that is appropriate or in a bio you write for the post. When your post goes live, keep your eye on the comments throughout the next 2 or 3 days. Answer any questions the commenters may have – this is very valuable because it allows you to have one-on-one conversations with the people who have found your post helpful. You can also do a search for the link to your blog post in Twitter and reply to anyone who tweeted about your post or retweeted it – it’s a nice gesture to thank those people for sharing the post. Again, this will help you connect directly with your ideal customers. After your post has gone live, check your web analytics to see how much traffic your site got from that particular post. If you got a ton of traffic, start brainstorming more topics you could post on that blog. 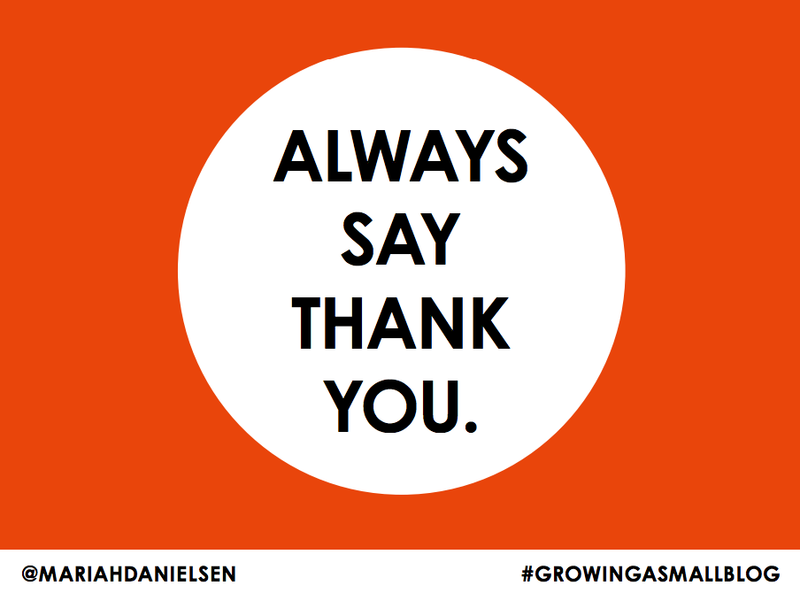 Send a quick email to the blogger thanking them for allowing you to post and tell them that you’d be happy to post again in the future. If you have a few more ideas ready, go ahead and include a few of those those in the email and start the process all over again! This is a proven technique for guest posting on bigger blogs and connecting with your target audience. It’s a really quick way to get people visiting your blog, and it helps build your credibility in your area of expertise. Do you have questions about the discussion? I’ll answer them in the comments! Let’s Work Together: A Call for Vendors + Partners! I’m Speaking at Alt Summit! I posted quite frequently for Design Sponge for a few years, but I'm not sure if they accept business based posts any more. I'd say look at your favorite blogs and reach out to them. 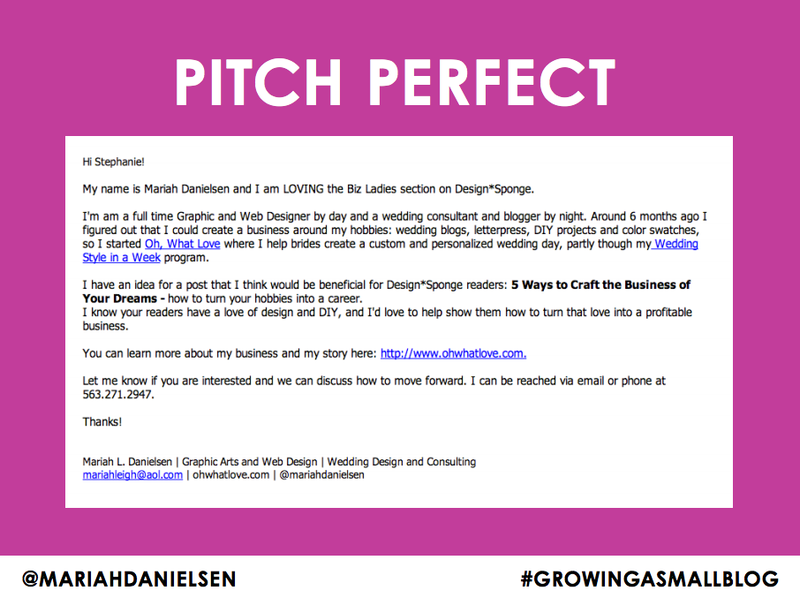 I've worked with many larger blogs to help grow my own and all it took was an email pitch with a well thought out idea. You can always submit your stuff to places like Apartment Therapy too - that helps! One of the girls talked on self promotion - check that post out, it had some great info! It should be linked in the article. xo!